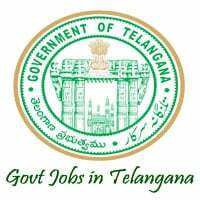 The government of Telangana, Commissioner and Director of School Education Recruitment Notification 2018.Commissioner and Director of School Education inviting applications for the positions of Vidya Volunteer.Interested and Eligible candidates can apply for the positions. Candidates those who have passed B.Ed from any equivalent university may apply. Maximum age for applicants is 44 years. Selected candidates as Vidya Volunteers will get pay of Rs.12,000/- per month..
Based on educational merit of candidates will be recruited. Mode of applying for the Vidya Volunteer posts recruitment is through online mode. Unit of roster is a District as per the sanctioned number of Vidya Volunteers for the Acadenic year 2018, The District Educational Officer (DEO) shall allost roster points first to Mandal by arranging the Mandals in English alphabetical order. All Original Documents submit the verification department. Engaging of Local Sc Candidates are not Available, then other ST candidates residing in the agency area shall be considered. Agreement & Selected candidates as Vidya volunteers at schools from: 20th July 2018.